Thread: Geckos Too Warm?? How Can I keep the Cool End Cool in Hotter Months? Hello, as spring is finally here and the weather is warming up I have found myself in a potential pickle. My two leopard gecko's vivarium's are quite warm. Hot spot (ground temp) is still at 85-90 F. The following is my concern: the cool sides ground temperature is 77 F. Is this two warm? Is there enough of a gradient? The air temp on the hot side is 80 F and the air temp on the cool side is 78 F. Is the air temp to be a concern too? Will my girls be able to regulate their body temperature? I struggle to regulate their air temperature as it almost directly reflects my rooms temperature. They are each in their own 20 Gallon Long tank. We made it through last summer with similar temps. I would occasionally place an ice pack on the top of their screen top lid on the cool side to cool that side down, should I continue this? Do you have AC? If so you can set it to go off and on at 75f. How did they react last year? Did they eat well? Which side did they spend most of their time? Some like it slightly warmer than others and so you have to go based on behavior. If they stay on the cool side, you may run into problems. I follow these guidelines for my 14.5 year old leo Cha. Last edited by Elizabeth Freer; 04-08-2019 at 05:07 AM. Last summer they took it okay, my whole house does have AC since it can get up to 95 F outside during the hottest months. my room can be the warmest room in the house averaging 75 F in the summer. They both ate well and they would spend the day going between their hot hide and their middle hide that is in the center of the gradient, though they did favor the cooler hide/center hide. In the morning I would almost always find them back in their hot hides though. Thank you! My temps almost match completely, my cool end is just a degree or too warmer. Since you DO have A/C you really have nothing to worry about. 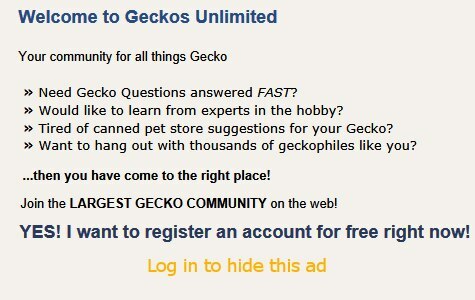 A GU member ("acpart" -- Aliza) who has bred many leopard geckos lives in Massachusetts. She doesn't have A/C. Her leos just tough it out and have done alright during heat waves. That's right! It has gotten up to 96 in my living room! The key is that this only lasts for a day or so. If it were like this every day I think it would be dangerous. My feeling is that in the wild there are episodic temperature extremes as well. I keep a careful eye on them and have never had any geckos seem to go off feed or be miserable during the occasional heat waves. If they did well in that temp, my point is proven, most are under heated I’d be sleeping inside my refrigerator if my home reached 96f! I don't sleep in my fridge when my home reaches 96!